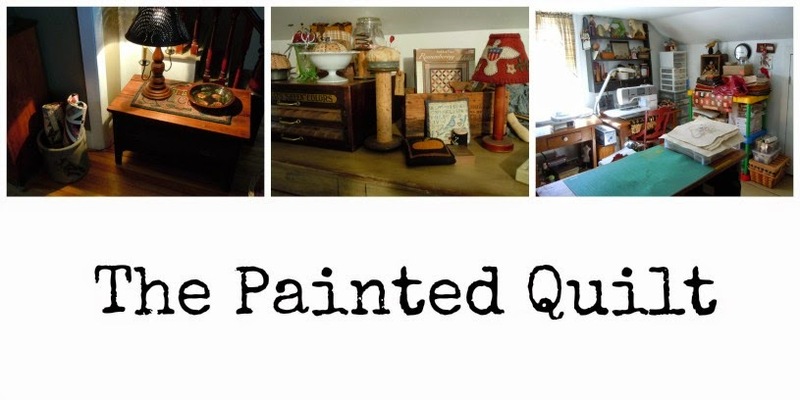 The Painted Quilt: I’m still here! Keeping you in my thoughts and prayers my friend!! I hope you get some answers - and the ones you want!! Big hugs! I hope things work out well for you and you will certainly be in my prayers. I have those type of days, so I understand, just have to go with the flow till it is over. Wonderful gifts and that book looks good, will have to look it up at our library. Thanks for updating us about your absence. Let us hope and pray that things will be resolved quickly so you can enjoy all the hard work you and Mr. PQ have put into your lovely new home. You are in my prayers, of course!! Many hugs, and yes, a break is definitely in order...wishing the best for you! Take very good care of yourself kaaren!!!! You will be in my thoughts and prayers. I am sure everything will be fine soon. Get better soon, get some R & R. God has you in his tender care. Will keep you in my thoughts Kaaren. Your gift is just wonderful. hope you are feeling your ole self soon. You are in my thoughts and prayers. Hope everything turns out well for you. You deserve a break from the FFF's. 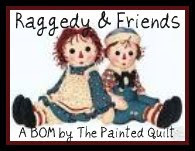 I am almost finished with my Raggedy and Friends. I hope everything works out well and you're back to normal soon. Take care of yourself! take care of yourself. Darn health issues! keeping you in my prayers, Kaaren. Hoping for a speedy recovery thoughts and prayers. What a nice gift you got and perfect timing. Well Miss Kaaren, yep you are definately in my prayers but I sure wish you had been able to share this sooner so we could get the prayers up and running earlier - consider yourself told off, but in the nicest possible way. Will definitely add you to my prayer list and keep the positive thoughts coming your way. The pincushion is a lovely gift, like a hug in the mail! You've got my prayers, hon. Such a perfect gift from Pat - love it! I imagine many blogs are taking breaks for summer fun, and garden work, I know for myself it's easier to blog when there's snow on the ground and I don't want to go anywhere! You just don't overdo in the garden. Thanks for the book recommendation, I've just put a hold on it at our library - hope they get it soon! Kaaren, of course I will keep you in my prayers. Wishing you good health and comfort. I love your new little bird pillow...he's gorgeous. Thinking and praying for you. Hope the results will be for the better. Best of luck and make some time for a lot of rest. We will be here, wainting patiently, and supporting you all the way! What a lovely 'cheer you up' pincushion. Hope your health issues are temporary. Get well soon. Kaaren, good to hear from you. Let's get these pesky health issues behind us. Am sending Positive Thoughts for a speedy resolution. Be sure to take good care of yourself and do what the doctor orders! Relaxation, reading, gardening, and sewing are certainly to be his top 4 orders!!! Will keep you in my prayers, Kaaren and my hope is that all works out well for you. Hope all goes well and sending T's and P's your way. Summertime is the best time for kicking it back with a good book and a lemonade. Mr. PQ needs to add a hammock to his list of new things at the new house! Sorry to hear that you've been facing some health challenges. These things are so un-nerving - I think partly because of the unknowns. I hope you get answers that will help you move forward in comfort. I'll be praying. Your in my thoughts and prayers girlfriend. I figured something was up because you've missed all the posting I did of your Raggedy Ann Quilt I just quilted for Mary. 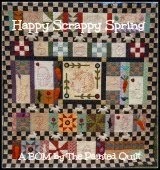 How fun to see the little quilt I quilted for you on your table....with such a wonderful gift of friendship! Hoping your medical problem is soon resolved. You are in my prayers. Keeping you in my prayers.Have been worried about you Think of you every time I move my Stitching Annie pillow to dust. I think I will rename her Stitchin Kaaren. Hugs to you. I've been watching for a post from you too but I assumed you were on a little vacation. So sorry to hear you are having health problems. I'll be praying for your quick recovery. Thanks for the book referral. What a sweet pin cushion. I bet you are getting a lot done around the new house. Prayers being said here, Kaaren. Hoping all with be alright and back to normal soon. I'm sorry to hear of your health concerns. I'll keep you n my thoughts and prayers. Above all else, take care of you and your needs. Life is so fragile . Judy C sends her best. I hope the investigation turns up nothing too serious - my thoughts are with you as you face this challenge. The improving weather must be a cheering sign to you and the gift your friend sent you is sweet! Prayers for sure! Thought maybe you did build that ark and sail away lol! Calling my library now to see if I can get my hands on that book. Get well soon and hope the scan shows nothing serious. Kaaren, I'm so sorry your experiencing some health challenges - sigh! I will definitely keep you in my thoughts and prayers. Take care of yourself, you're an important part of this world. My heart goes out to you Kaaren and I will be sending lots of positive energy your way! What a lovely and thoughtful gift from Pat which surely must have made your spirits soar! I'm happy to hear that you're able to work in the garden - good for the body and soul during a difficult time. Please take care! Sending good thoughts to you! Take good care and keep smiling. Hi Kaaren, I too was wondering where you were. Thought maybe you went on a small trip. Please know that I am thinking of you. Lori R.
Take care of yourself Kaaren , I will keep you in my prayers and hope all goes well with your tests. I do want you to know that tomorrow is our quilt show and several of your Friday Freebies will be on display , so thanks for these wonderful patterns . I had been wondering about the lack of posts but assumed you were busy with your yard work and all that is involved in transititioning your new home into what you want it to be. Good wishes coming your way! Hugs Kaaren I didn't know you were having health problems. I've been so slow with blogging in my new blog to get back in touch with everyone. I'll keep you in my thoughts. What a wonderful cheering up present of Mr Crow. I am liking how Sue Spargo mixes wools with velvets and cottons. Great textures. Take good care of yourself Kaaren and start each day with a strong and positive attitude. Prayer for you from Lehi Utah! So good to hear from you and you will be in my prayers. Pat's little surprise is so cute. I've been looking for a good book to pick up and this seems to be the one. Thanks for the info. I've never commented on your blog before but have enjoyed reading it every few days. You gave me the inspiration to move and try a new place when it's time for me to retire. You are in my thoughts and prayers. On bended knee with prayers to our wonderful Lord, our Healer. I also pry for you to have God's Peace. You are in my thoughts and prayers. Relax and take time for yourself. We'll all be here waiting for you when you're feeling better. I hope you're feeling better soon, Kaaren. You're in my thoughts & prayers! Get well soon Kaaren. I just checked in to see what you have been up to to read your news. Please keep us posted. PS: Finally finished the Huswif. What a lovely pattern this was - thank you! Hello! 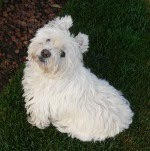 I just encountered your blog, and I greatly enjoy it! I barely approached your site but you will be in my prayers. Stay positive no matter what! You have a lot of people that are here for you! Feel better soon! Prayers for you, too! Keeping you in my prayers. Get well soon. How lovely to have a friend like that! I have a friend named Kaaren, never thought I see another! This one always picks me up on days I am feeling low. May God bless you and keep you! And thank goodness for friends who know our hearts better than we know it ourselves. Oooh Kaaren.... huge hugs, and prayers are winging their way from my place to yours. Here's hoping for good result!! I'll definitely keep you in my prayers. Just take it easy. Sending good thoughts. Sending you warm hugs and your in my prayers. Get well soon Kaaren. I will keep you in my prayers. Prayers for you for this coming week and your biopsy! I have been catching up on your posts. I am glad to hear you are doing well and I hope you get the answers you are looking for soon. Waiting can wear a person down. Nice gifts you have recived too. Bloggers are so kind. Take care, hugs, carrie p.